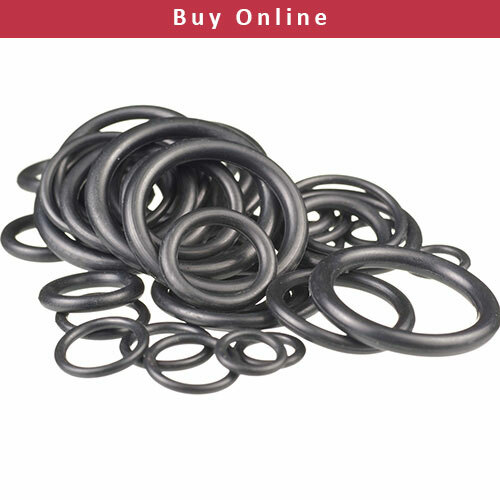 Black NBR 90 O ring, also known as a Nitrile 90 o-ring or Buna-N 90 O’Rings most widely used elastomer in the seal industry today. NBR is a standard material for Hydraulics and Pneumatic. NBR 90 / Nitrile 90 O-Rings resists oil-based hydraulic fluids, fats and oils which need to high pressure. Temperature Range -30°C to+120°C with Durometer/Hardness 90. For Harsness 70 you can check O-Ring NBR shore A 70 specification.